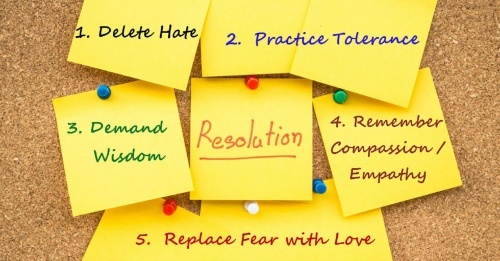 At the beginning of each New Year, it is easy to feel compelled to make yet another set of resolutions only to find that a few weeks later, we are utterly disappointed in ourselves not to have kept them. So this year, how about trying a different approach that research has shown to be effective because it enables you to take the smallest of steps in making the smallest of changes that can eventually help you to become the best self that you want to be over a period of time. It is easy to set vague ambitions in life. Research suggests that enhancing optimism about the future can motivate people to work toward that desired future and thus make it more likely to become a reality. Imagining life going as well as it possibly can, can increase our happiness in the moment and also lay the foundation for building a better future. This is an activity that needs to be carried out once a day over two weeks to start with. Find a quiet space for yourself and imagine your life in the future. What is the best possible life you can imagine whether this is at home, at work, with friends, partners or families, with hobbies, with health and so on? Then consider what would happen in an area(s) of your life in your best possible future? For the next 15 minutes, keep writing about what you imagine this best possible future to be. The guidelines below may help you through this process. Your thoughts may enable you to observe how your current life may not match this best possible future. You may start to think about obstacles that have stopped you from achieving things you have wanted to in the past such as lack of time, finances, social situations and so on. During this 15 minutes, work hard to focus on the future. Visualise a brighter future in which you are your best self and your circumstances change just enough to make this best possible life happen. If you can think of a really specific aspect of your life, whether it is getting a new job, being able to save a bit better or change the way you manage your stressors, imagine exactly what you would do. For example, if trying to change your stressors, think about what situation needs to be better, how will it look in this better place for you, how will you be feeling in this better place, what different thoughts will you have as a result of being a better you, and who else will benefit from the impact of your better self. The more specific you are, the better engaged you will be in this activity and the more you will get out of it. Be as creative and imaginative as you want to be, focussing on your thoughts and ideas from your visualisation and just keep writing. By thinking about your best possible future self, you can learn more about yourself and what you want to be different over the coming weeks, months and years. This way of thinking can help you restructure your priorities in life in order to reach your desires or ambitions. Additionally, it can help you increase your sense of control over your life by highlighting what you need to do differently to achieve your dreams and aspirations. So a small thought can lead to a small change that can lead to a better you.